Huawei has offered to give Australia unrestricted access to its software source code and equipment, as it looks to ease fears that it is a security threat. Questions have been raised about the Chinese telecom firm's ties to the military, something it has denied. Australia has previously blocked Huawei's plans to bid for work on its national broadband network. Huawei said it needed to dispel myths and misinformation. "Huawei has done a very poor job of communicating about ourselves and we must take full responsibility for that," said John Lord, chairman of Huawei's Australian arm. He added that the company needed to be more open and would give the Australian authorities "complete and unrestricted access" to its software source code and equipment. The comments were made in a speech by Mr Lord to Australia's National Press Club. He also recommended that Australia should set up a cyber evaluation centre to test equipment used in the country's communication networks. Mr Lord suggested the centre be funded by various telecom equipment vendors and operated by "security-cleared Australian nationals". 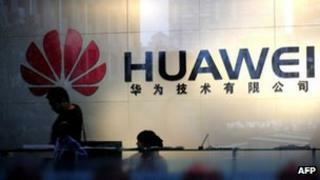 Huawei said it was necessary for the manufacturers and regulators to work together to allay security fears. Mr Lord said that a similar centre had been established in the UK and that Huawei had given British security agencies access to its source codes, allowing them to test the security credentials of its equipment. "No single country, agency, vendor, or telco has all the answers to solving cyber security issues," Mr Lord said. "It requires a collaborative approach by all to ensure we can create the most secure telecommunications environment possible." Huawei and ZTE row: Should the UK be worried about the Chinese tech firms?